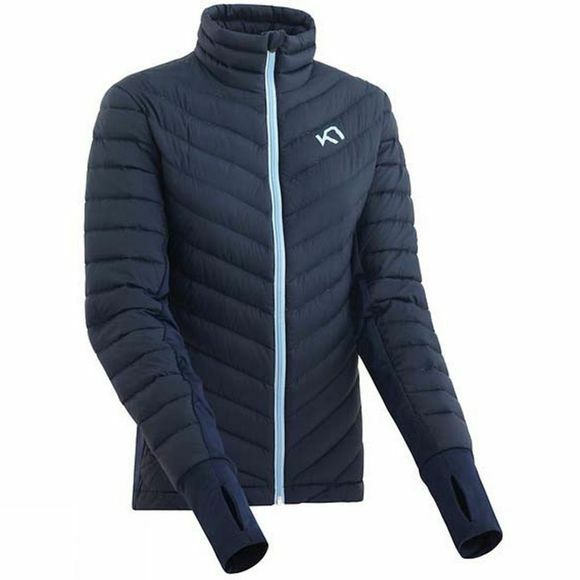 The Womens Tove Insulated Fleece from Kari Traa is a lightweight down jacket that boosts warmth and comfort under a shell or when worn alone. It is made from a lightweight down proof material that is filled with premium 80/20 duck down. For ventilation, slick face Fleece panels are located under the arms. Extended sleeves with thumbholes give extra coverage and prevent bunching when used as a second layer. A drop back hem and high collar provide some extra coverage in key areas.